The Berry Schools ask Hammond to forward their letter to Mrs. Augusta P. Hope and to provide them with her present address. 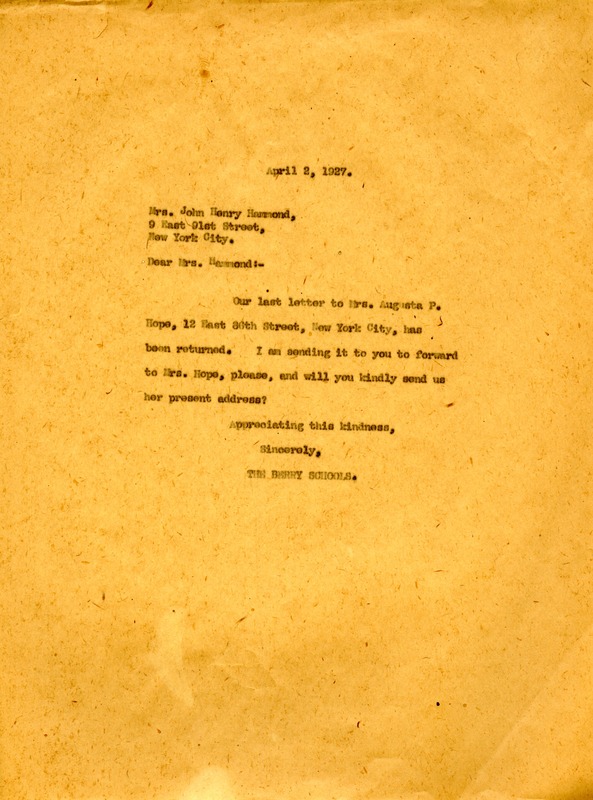 The Berry Schools, “Letter to Emily Vanderbilt Hammond from the Berry Schools.” Martha Berry Digital Archive. Eds. Schlitz, Stephanie A., Sherre Harrington, Ashlee Nollette, et al. Mount Berry: Berry College, 2012. accessed April 21, 2019, https://mbda.berry.edu/items/show/4064.